Norris City-Omaha-Enfield High School's FFA Chapter won first place team overall at the 2019 FFA Section 25 Ag Mechanics Competition at Southeastern Illinois College. Pictured are (not in order): Hayden Buskirk, Brendan Frost, Adrianna Frymire, Hunter Healy and Trenton Rush with sponsor, Kory Sutton. Southeastern Illinois College once again served as host of the Annual FFA Section 25 Ag Mechanics Competition. Vocational-technical students from a number of local high schools in southeastern Illinois competed Thursday, April 11, in the areas of Ag power, carpentry, electricity, surveying and welding. Twelve Section 25 schools, including Carmi, Carrier Mills- Stonefort, Eldorado, Galatia, Gallatin County, Hardin County, Harrisburg, Joppa, Massac County, Norris City-Omaha-Enfield, Pope County and Vienna spent a day on SIC’s campus testing their mechanical skills and learning about careers in agriculture. There were nearly 70 student participants present for the event. The first place overall team award went to Norris City Omaha Enfield High School’s FFA chapter. Carmi-White County High School’s chapter took second place team overall followed by Carrier Mills- Stonefort and Galatia’s teams who tied for third. Placing individually, in Ag power, Alex Maxfield of Carrier Mills placed first, Trevor Campbell of Pope County placed second and Kyle Cavender of Harrisburg placed third. In carpentry, Austin Korte of Massac County placed first, Michael McHugh of Vienna placed second and Trenton Rush of NCOE placed third. In electricity, Dylan Webb of Carmi placed first, Noah Miller of Galatia placed second and Hayden Buskirk of NCOE placed third. 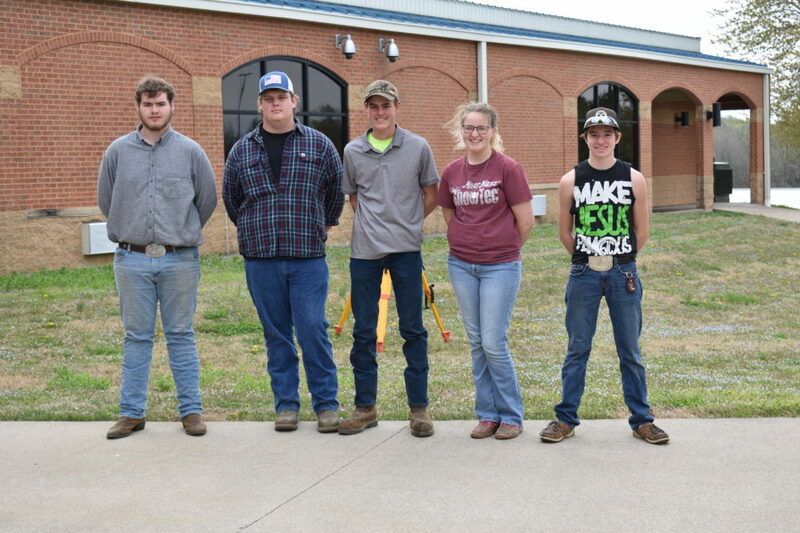 In surveying, Jessica Lewis of Massac County placed first, Kyle Bristow of Carrier Mills placed second and Adrianna Frymire of NCOE placed third. Finally, in welding, Jeremy Boulds of Eldorado placed first, Josh Wrye of Massac County placed second and Carly Klecker of Vienna placed third. 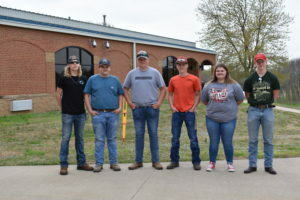 Norris City-Omaha-Enfield High School’s FFA Chapter won first place team overall at the 2019 FFA Section 25 Ag Mechanics Competition at Southeastern Illinois College. Pictured are (not in order): Hayden Buskirk, Brendan Frost, Adrianna Frymire, Hunter Healy and Trenton Rush with sponsor, Kory Sutton. 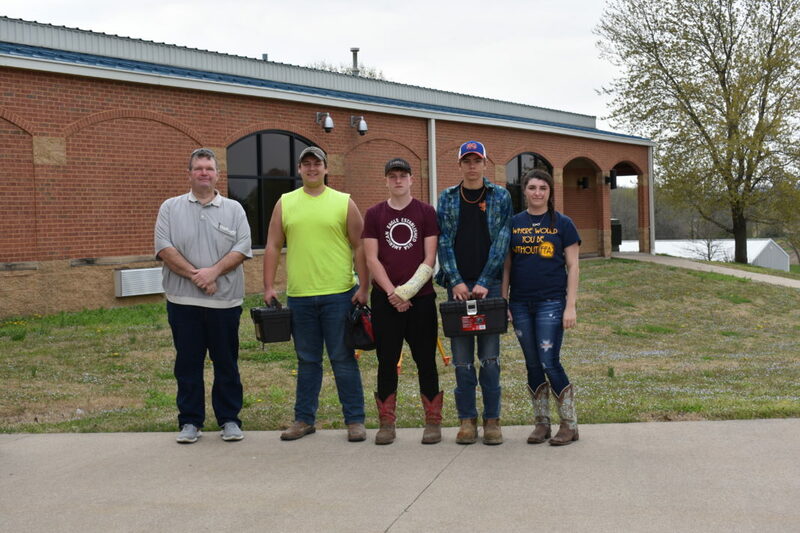 Pope County High School’s FFA Chapter participated at the 2019 FFA Section 25 Ag Mechanics Competition at Southeastern Illinois College. Pictured are (not in order): Trevor Campbell, Dylan King, Ethan Murphy, Jakob Shields and Jordyn Swinford. 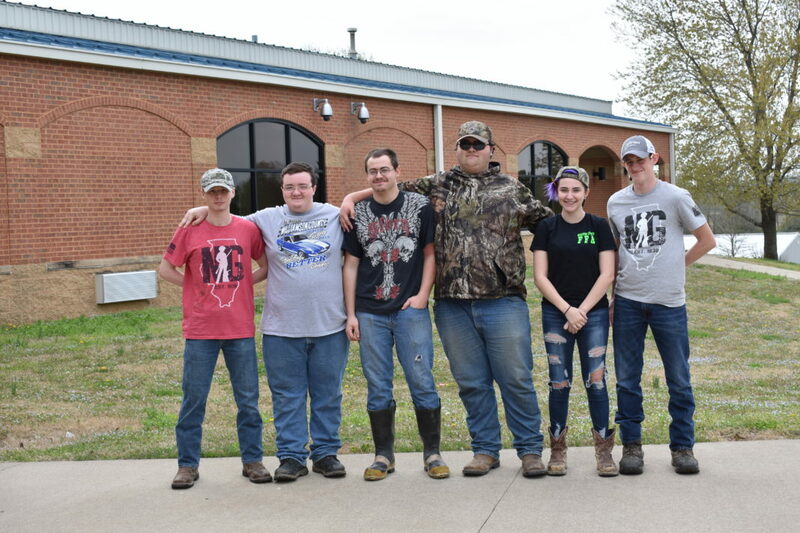 Massac County High School’s FFA Chapter won first place team overall at the 2019 FFA Section 25 Ag Mechanics Competition at Southeastern Illinois College. Pictured are (not in order): Matt Helm, Eli Henry, Nate Jackson, Sydnei Johnson, Austin Korte, Jessie Lewis, Dane Markus, Wyatt Obermark, Ethan Rottman and Josh Wrye with sponsor Cody Smilth. Harrisburg High School’s FFA Chapter participated at the 2019 FFA Section 25 Ag Mechanics Competition at Southeastern Illinois College. 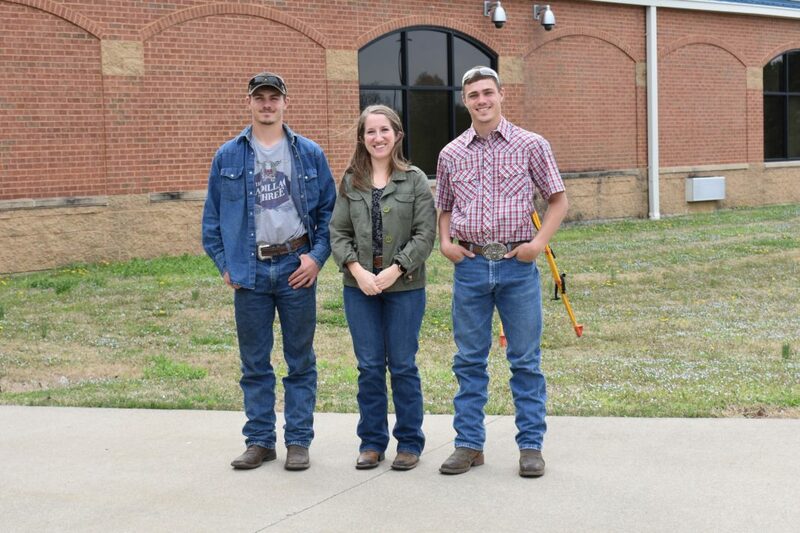 Pictured are (not in order): Kody and Kyle Cavender with sponsor Cacy Ellis. Hardin County High School’s FFA Chapter participated at the 2019 FFA Section 25 Ag Mechanics Competition at Southeastern Illinois College. Pictured are (not in order): Devin Austin, Wyatt Dutton, Charleigh Evrard and Jonathan Foster with sponsor John Hall. 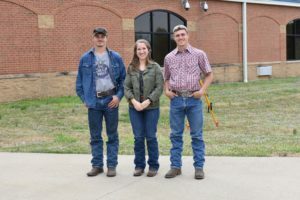 Gallatin County High School’s FFA Chapter participated at the 2019 FFA Section 25 Ag Mechanics Competition at Southeastern Illinois College. Pictured are (not in order): Logan Arnett, Matt Emerson, Dylan Hall, Damon Hinton, Andrew Leclaire and Aubrey Miles. Eldorado High School’s FFA Chapter participated at the 2019 FFA Section 25 Ag Mechanics Competition at Southeastern Illinois College. Pictured are (not in order): Ely Boulds, Jeremy Boulds, Josh Farmer, Dylan Franklin, Braidon Minor, Garrik Quertermous and Austin Willis with sponsor Kaleb Irwin. 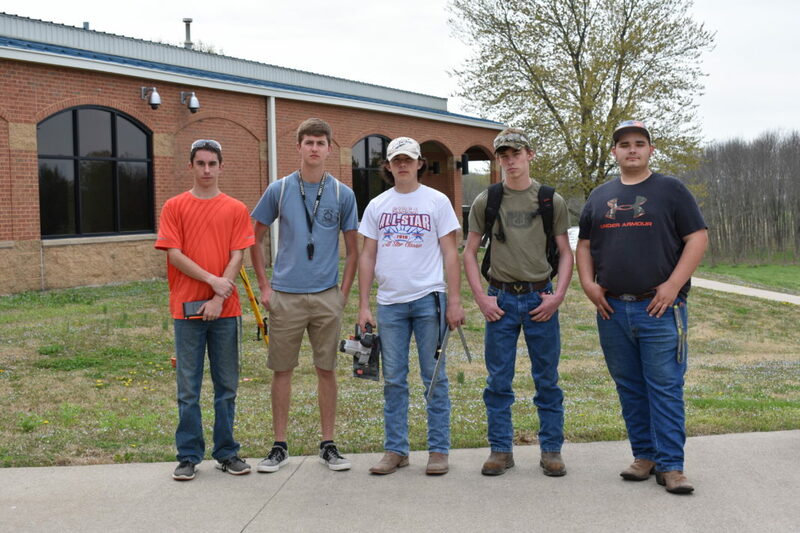 Galatia High School’s FFA Chapter tied for third place team overall at the 2019 FFA Section 25 Ag Mechanics Competition at Southeastern Illinois College. Pictured are (not in order): Tyler Anderson, Zane Carlile, Isaac Irvin, Noah Miller, Cayleb Reed and Carly Richardson. 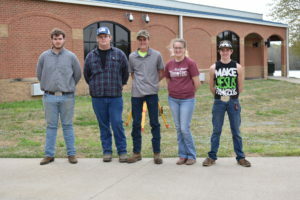 Carrier Mills- Stonefort High School’s FFA Chapter tied for third place team overall at the 2019 FFA Section 25 Ag Mechanics Competition at Southeastern Illinois College. Pictured are (not in order): Colton Betz, Kyle Bristow, Walker Kielhorn, Alex Maxfield and Trent Winchester.